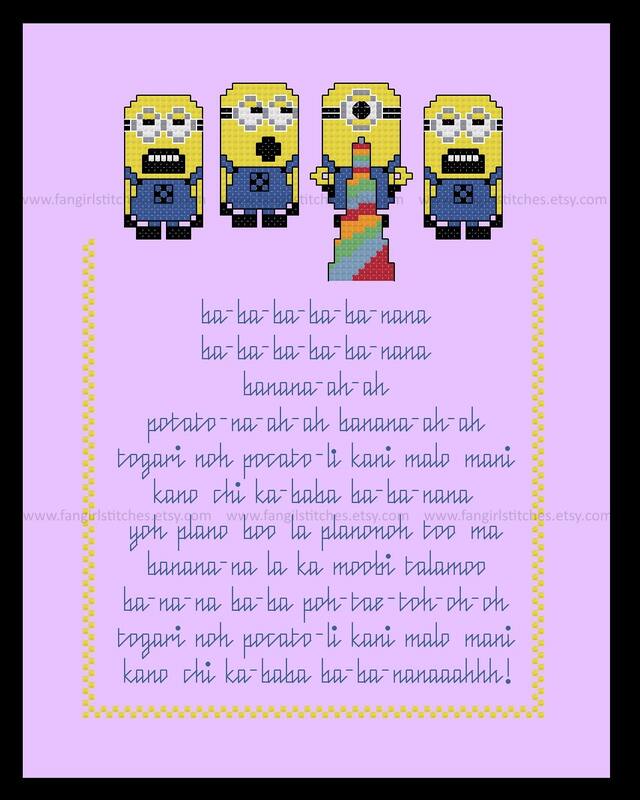 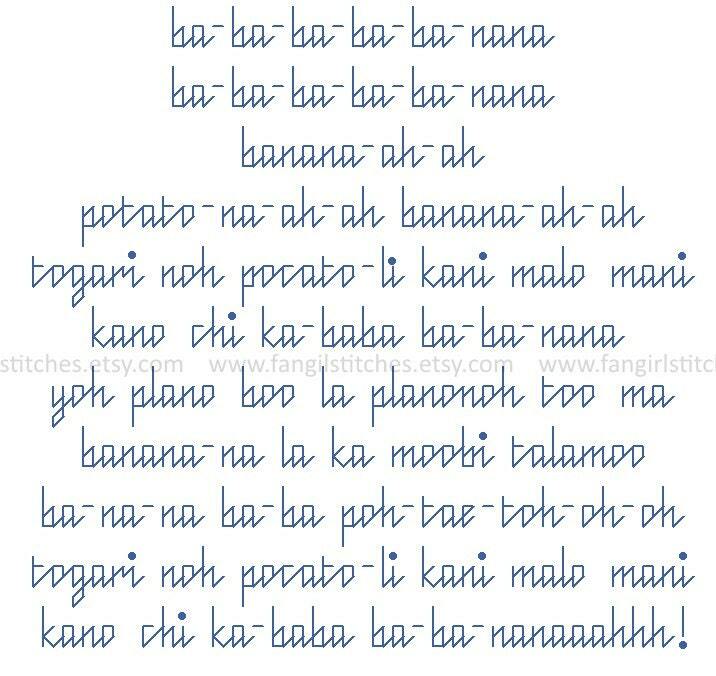 Now you can learn the lyrics for the Minion's Banana Song, as seen in the Despicable Me 2 teaser trailer with your very own with this cross stitch pattern. 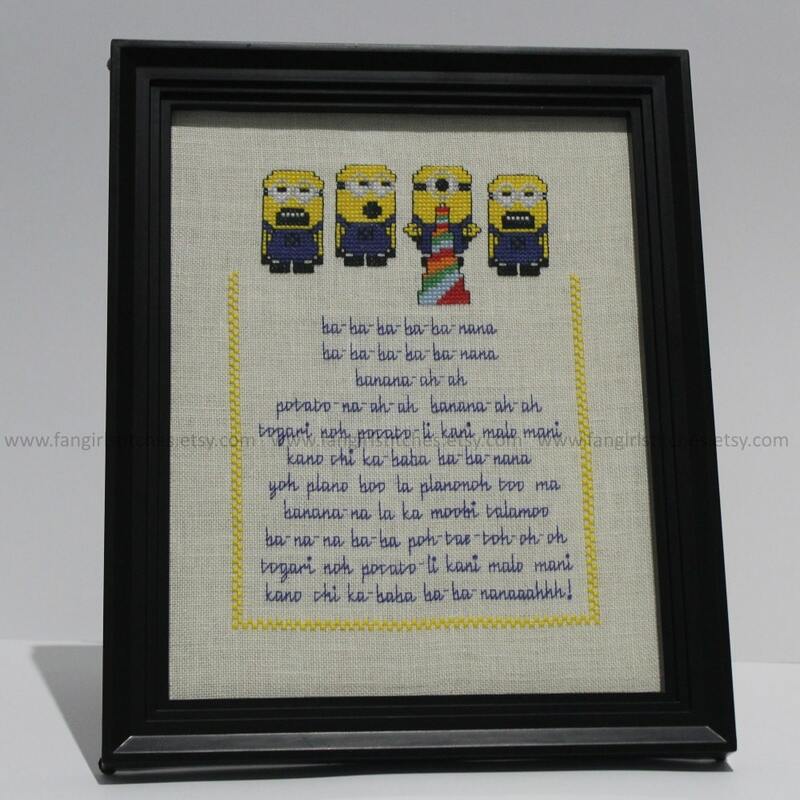 This design includes whole stitches, back stitches, and French knots, and is suitable for intermediate stitchers. 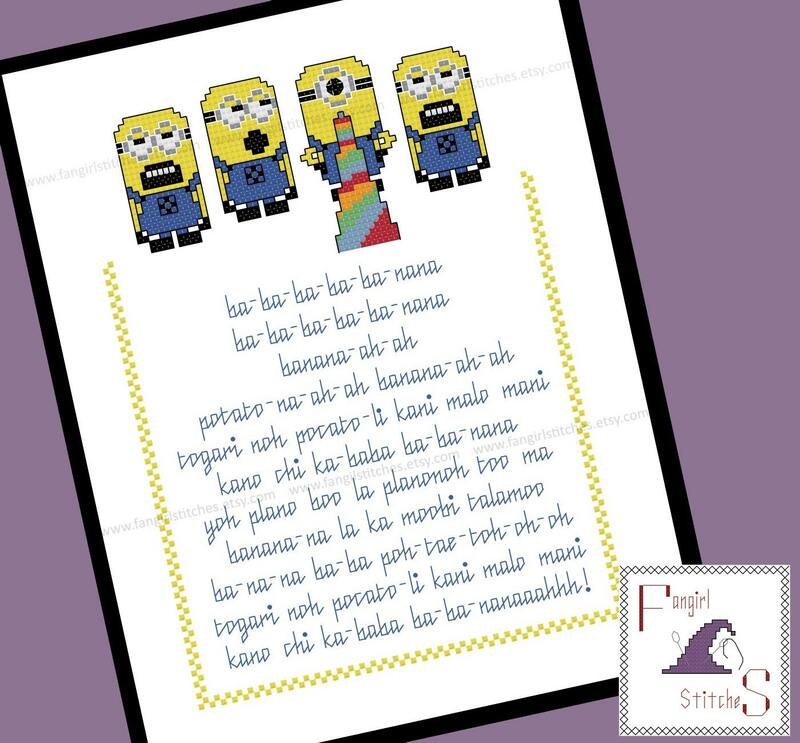 Cute Minions pattern. 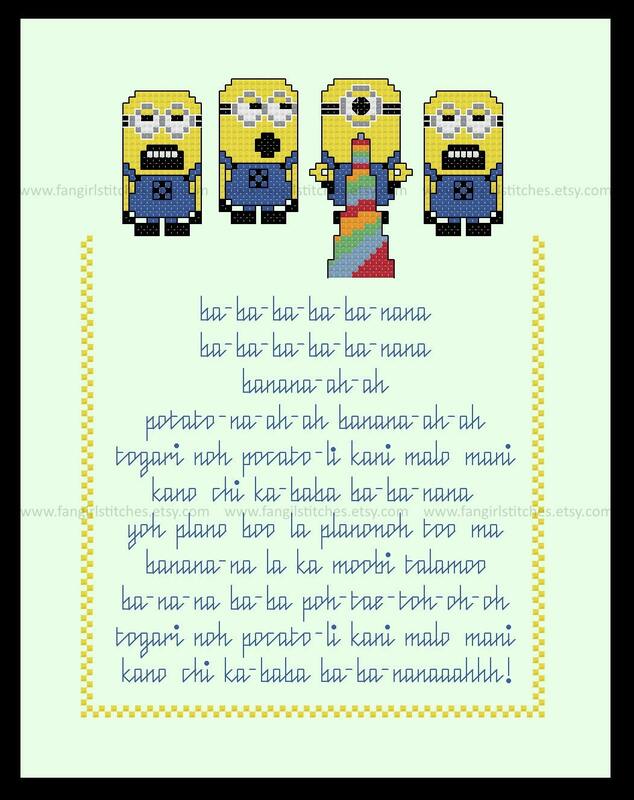 I bought this pattern to make a gift.